Elizabeth has been the co-director and producer of MKEC Productions since 2014. Working alongside colleague Marc Kelly, MKEC Productions strive to produce high quality, lesser known works on London’s fringe circuit so that theatre is accessible for all. Throwing themselves in at the deep end and learning as they went, MKEC have always received great reviews for all. With an ever-expanding team of creatives, they look forward to seeing what the future holds. 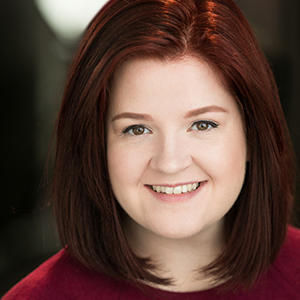 Elizabeth has been performing from an early age and is still currently working as an actress and loves learning new skills (both for acting and producing) to improve herself. MKEC Productions credits include: The 25th Annual Putman County Spelling Bee, When Midnight Strikes, Birds of Paradise, Here’s to the Ladies who Belt, Lucky Stiff, The Bakers Wife (all at the Drayton Arms Theatre); Elegies for Angels, Punks and Raging Queens (White Bear). 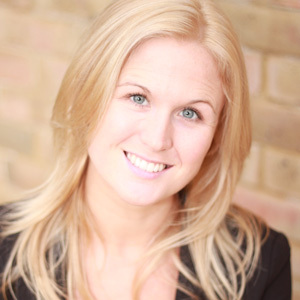 Sarah has spent a decade working as a Musical Theatre performer around the UK, Europe and in London's West End. Some of her credits include High School Musical, We Will Rock You, Fame and Dirty Dancing to name a few. Currently working as part of the creative team for The One and Only Company in Denmark, Sarah is a current figure in Musical Theatre in Copenhagen. She is also one of 2Entertain's leading choreographers in Oslo, Norway. Her work can be found onboard both Color Magic and Color Fantasy and is seen by hundreds of people a day 365 days a year! The shows range from Las Vegas showgirls to Bollywood beauties including many varied styles of dance/pas de deux and speciality acts. Sarah recently choreographed a number for Norway's TV2 in their new reality TV show Rett fra Hjertet (Straight from the Heart). 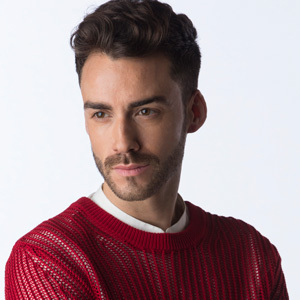 Having spent over a decade performing in stage musicals and touring productions he began assisting choreographers on various TV shows and theatre productions. He performed for two years in the Broadway production of CHICAGO THE MUSICAL where his passion for choreography deepened, encouraging him to explore his own creativity. After this he began to teach his own material in dance classes and workshops where he soon built up an extensive repertoire. Last year, Tommy was choreographer for the second season of the the hit TV series PENNY DREADFUL; working closely with actors such as Eva Green, Josh Hartnett, Billie Piper and Timothy Dalton along with many of the shows directors. The show has a strong dance component and he worked to create his own individual style while keeping with the show’s period setting. He has just completed work on the third season where he was also responsible for all of the creature movement working closely with his dancers to create a specific movement aesthetic that was unique to the show. Season three of PENNY DREADFUL airs this May on Showtime in the US and on SKY Atlantic in Ireland and UK. Tommy is in demand as choreographer for major corporate shows and fashion events. Recently, he staged the L’OREAL ID ARTIST’S TOUR LIVE , which toured all over the U.K. and in London. He recently choreographed a dance piece for THE EARL GILL SHOW at the Gaiety Theatre. Tommy teaches professional dance classes along with conducting workshops in his own choreographic style. Julia is an international choreographer, originally from Austria. She started her training in modern jazz and contemporary dance at the age of 10 and has been performing for many years. A true passion for telling stories through movement and making music and words come to life visually led her to choreography. After obtaining her choreography diploma in Vienna and writing her thesis about “Emotions through dance in image advertising” at Salzburg University she continued to train in urban dance styles and Salsa in Paris, where she also graduated in musical theatre from ECM de Paris. In her work Julia seeks to create character-driven choreography with a strong focus on the narrative aspect and musicality. Her credits as a choreographer include concerts, video clips and musical theatre pieces such as Poetry (Festival Break meets Contemporary, Austria), Break Me Amadeus (Festival Off-Mozart, Austria), To The Runway (Festival Hip Hop Goes Theatre, Austria), La Préfourrière (Théâtre du Colombier, France), Urinetown (Théâtre Clavel, Paris), Edward – The Musical (Espace Pierre Cardin, Paris), Éloge de l’imperfection (Teatro Comico, Switzerland), La Revanche du Capitaine Crochet (La Michodière, Paris), The Secret Garden & Sophie’s World (Stadttheater Gmunden, Austria), Kiss me, Kate (Opera Fuoco, Paris), Love, Always! (Comédie Nation, Paris), Un songe… Une nuit d’été (French Tour), The Addams Family (Théâtre Le Palace, Paris), Le Livre de la Jungle (Théâtre des Variétés, Paris), Les Secrets de Barbe Bleu (Théâtre Trevise, Paris). In addition Julia directed Season The Musical last year at the first Paris Fringe Festival. 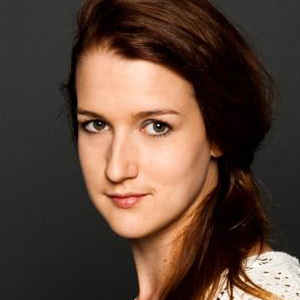 She has worked as an assistant director on Next Thing You Know (AMT Live!, Paris) and Otello (Oper Burg Gars, Austria). Her original piece Moi, Myself & Ich recently won a talent competition and premiered at the Théâtre de Belleville in Paris in November 2015.